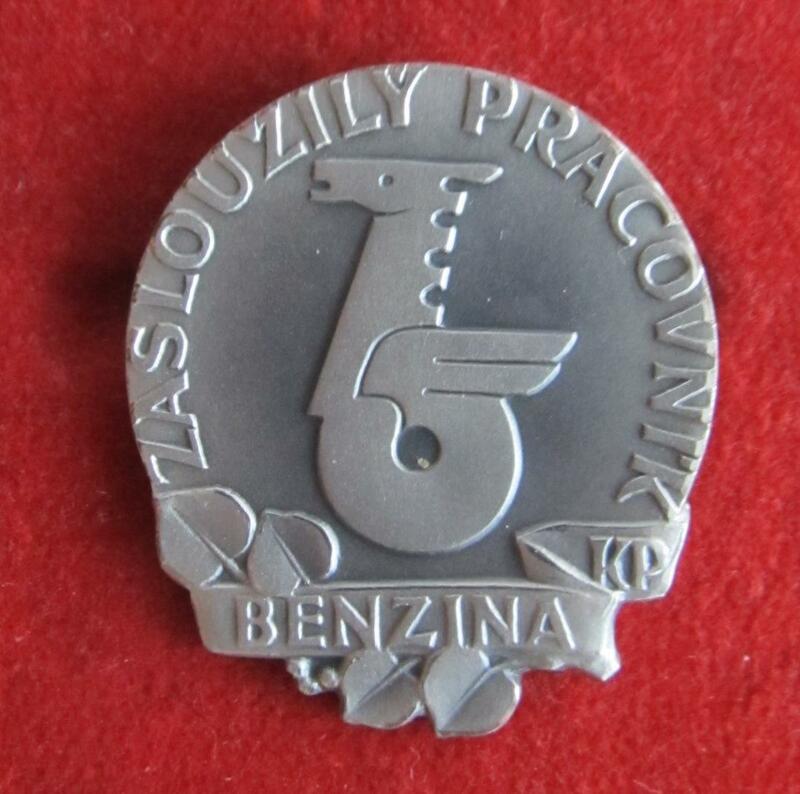 It has been raining outside for long time,and I am very bored.So doing nothing I decided to create a new topic-Badges of Best Workers.These badges are very popular among the collectors in Slovakia and in the Czech Republic.The bagdes for the shock workers-najlepší-the best,zaslúžilý-deserved,vzorný-exemplary came into being in the 30years of the 20 century,but the explosion of awarding by them we can see mostly in the 50th.Not everybody could get the state award,so some Ministeries or the branches of industries decided to create their own awards.These awards-badges were given to the best workers mostly in silver,numberred,with certificates,so when the bagdes are appear for sale,mostly at aukro.cz ,they are sold for a big money.I am sure I had a very big collection of the badges,but reducing my collection I decided to leave only a few.I would like to introduce the badges I left. 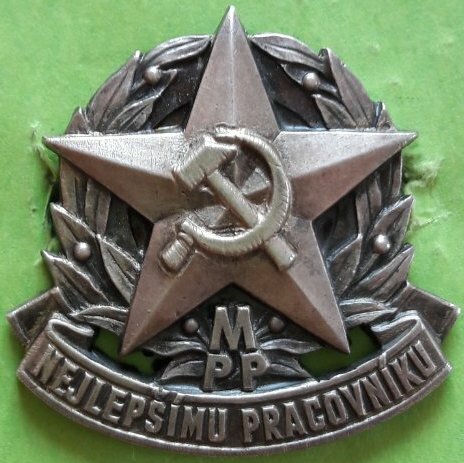 Most of all I like the best workers of some kinds of transport.The badges are in red etuis 7,5cmx7,5cm.Dimension of the badge is 3,5cmx5cm. 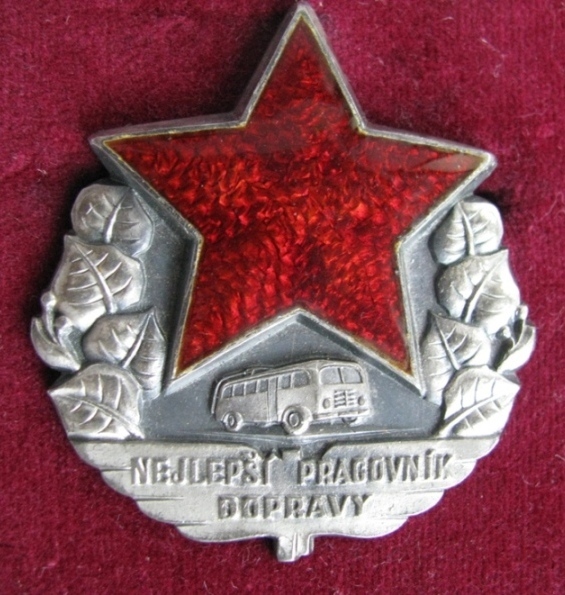 2.The best worker of the Bus ,Truck Carrying.I have also the certifificate,40x30cm. 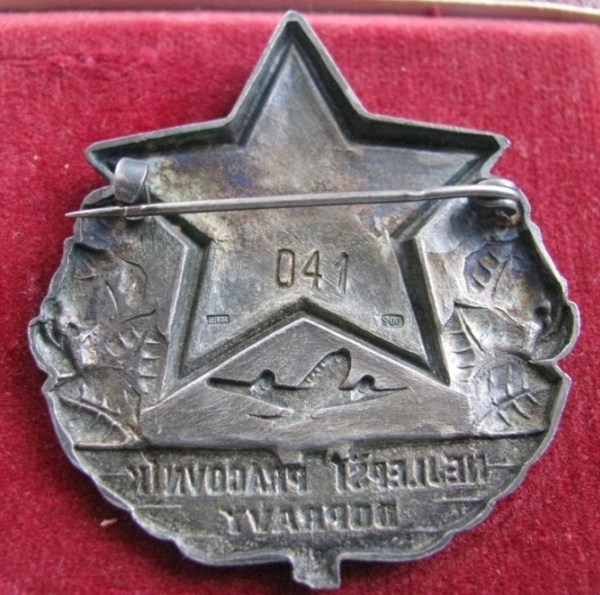 As you can notice the main content of the badges was an emailed star and the side-face of the branch. 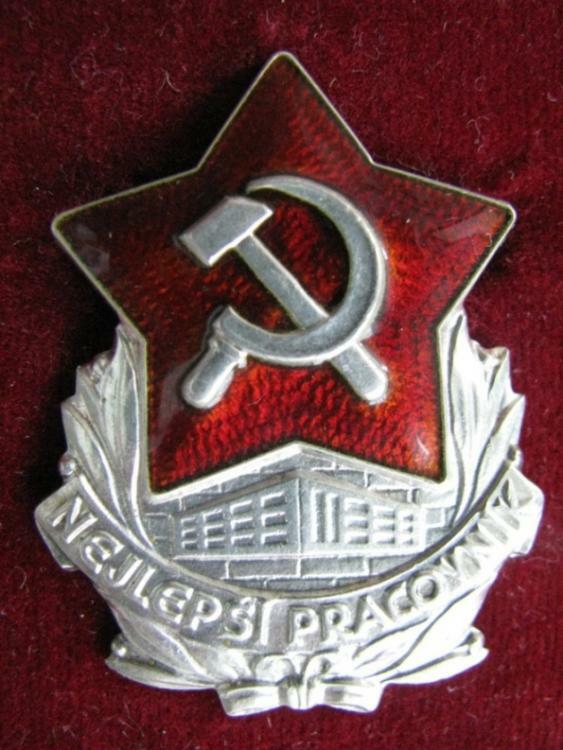 I am going to add some more pictures of the bagdes.Some of them are mine,some I took from internet. 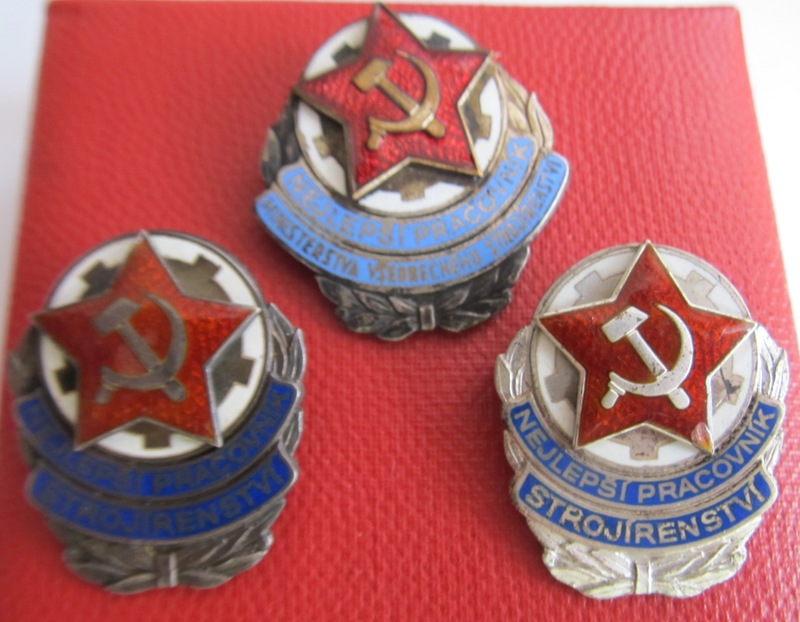 These badges I am not able to identify exactly,so I will try to guess. 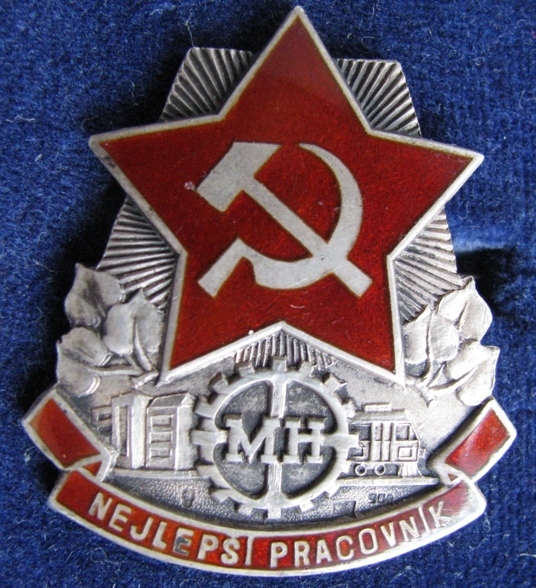 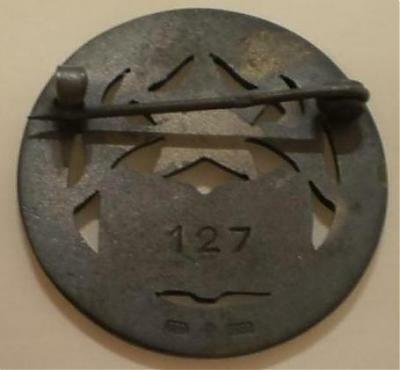 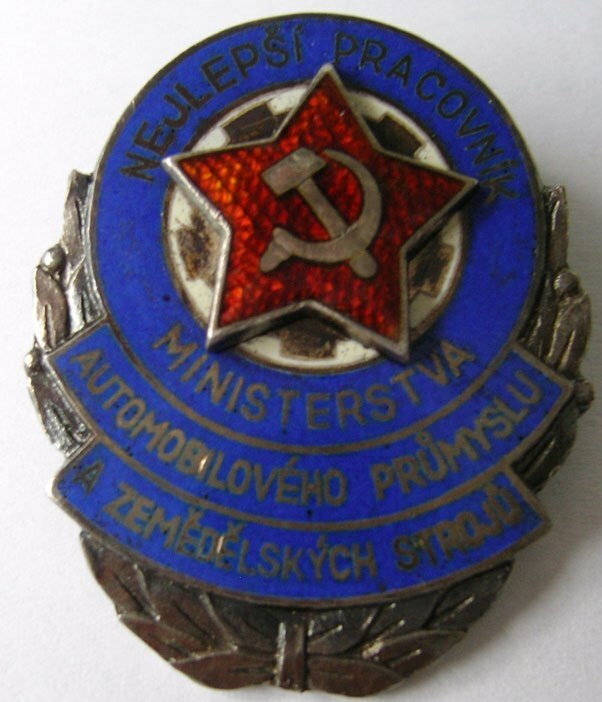 24.For Merit in Newspapering?It is interesting-no star in the design of the badge but the picture of Julius Fučík. Simply I did not have any certificates with these badges. 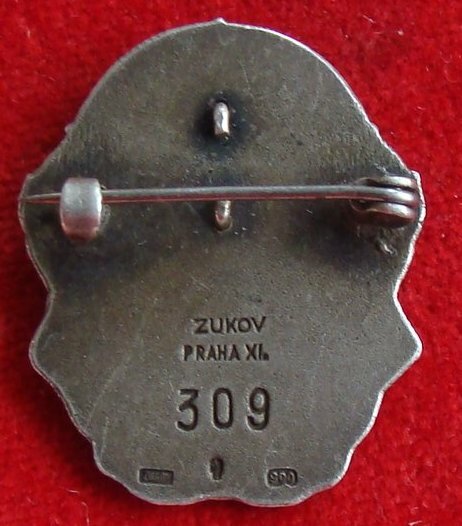 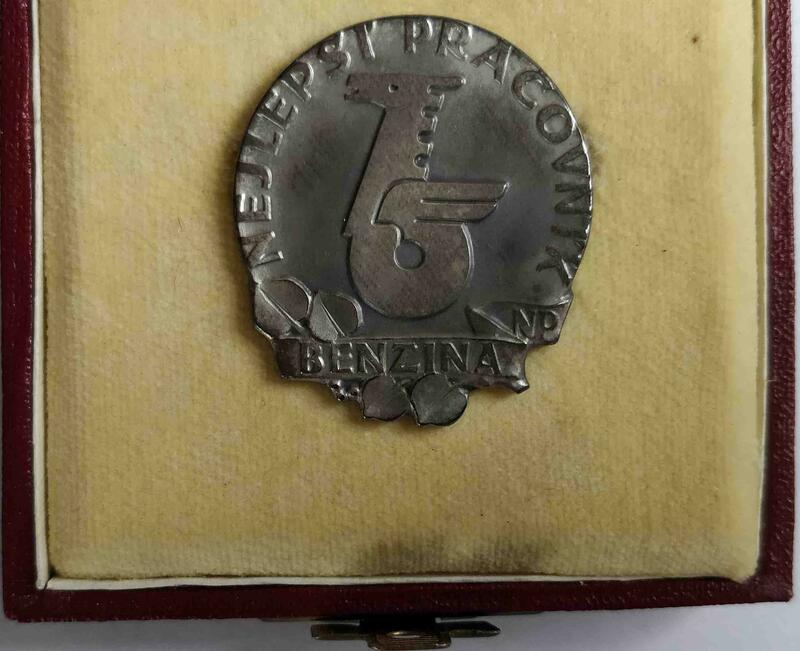 25.The Exemplary of the State Trade.Silver 900 mark.Weight 12,3gr.The badge is not mine,but I have not seen it in silver since so I have decided to add it to the topic. 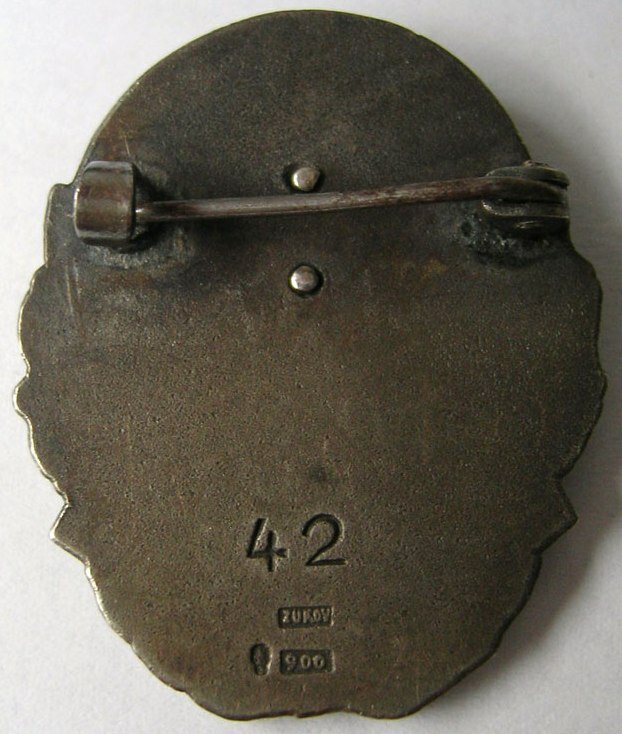 Fascinating display. 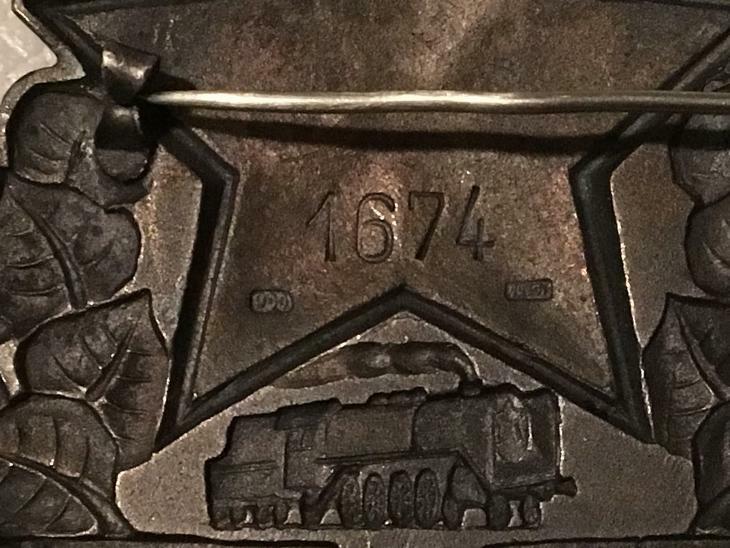 Is there any program of recognition of professional achievement in place today? 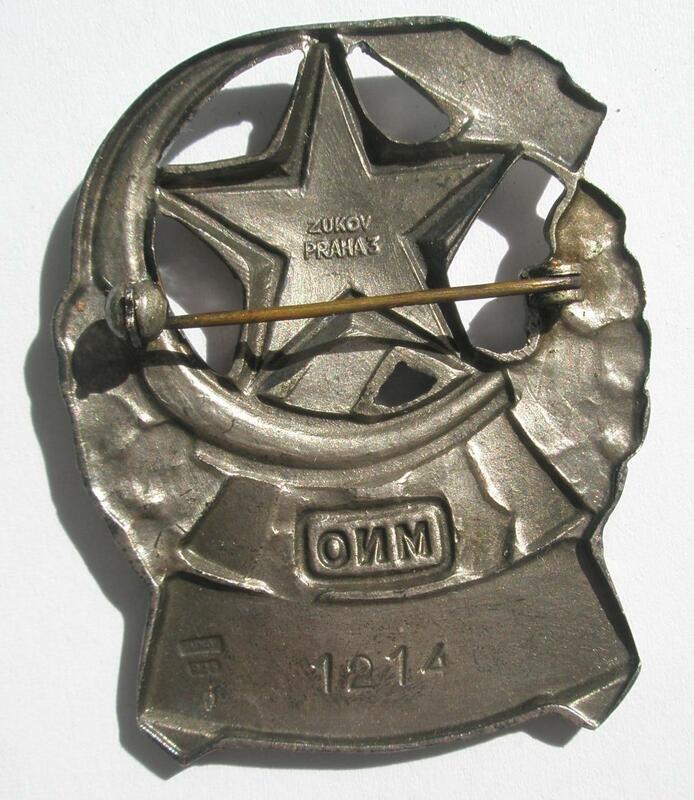 I don’t think our government experimented with non-military “attaboy” awards, but many private companies as well as endowment funds provided recognition of special achievement in various areas of industry and the arts. 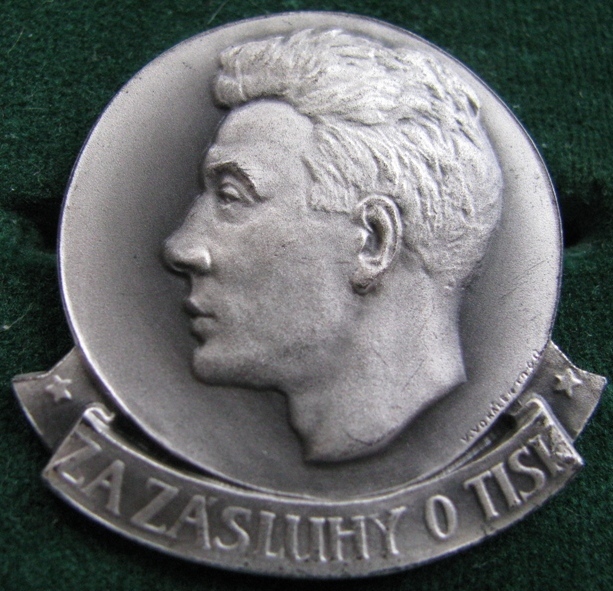 I suspect that many of the high-achievers of all of our countries took the position of: “Thanks, but if I’m that good, how about some extra money!”. 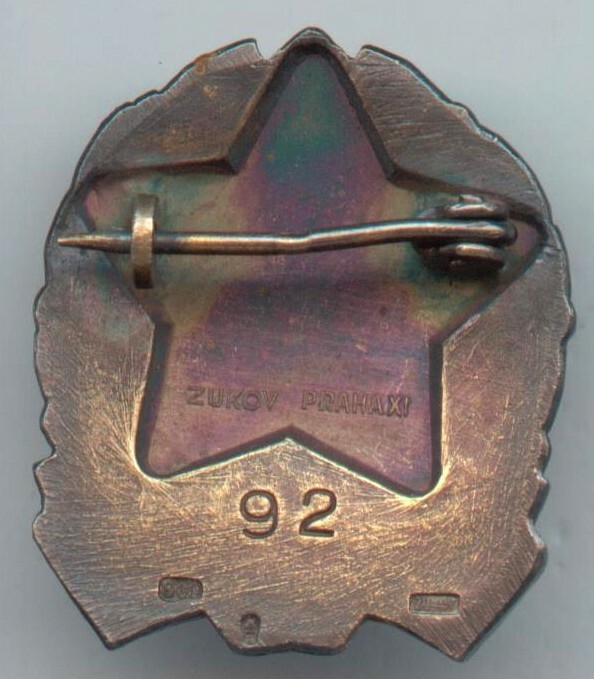 That being said, these awards are a great reminder that everybody likes to hear the boss recognize an employee for a job well done. 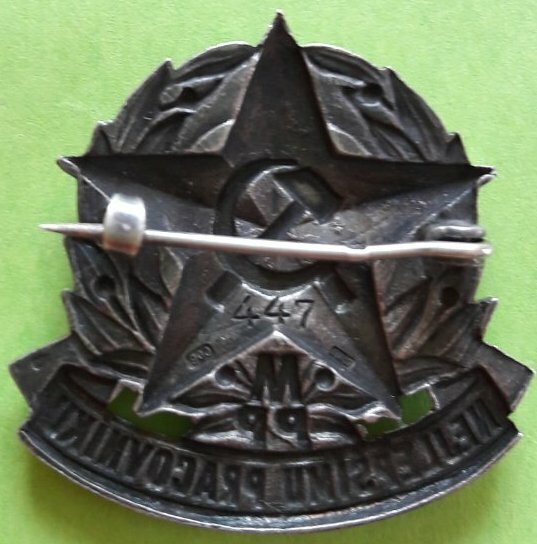 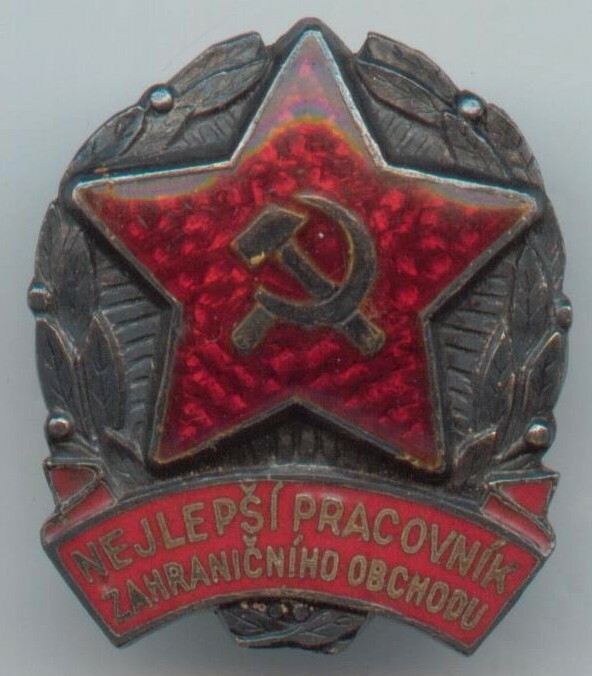 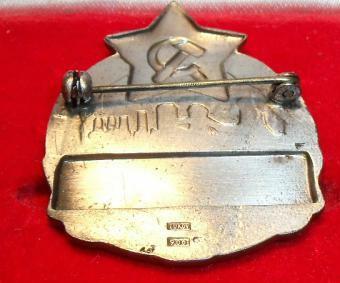 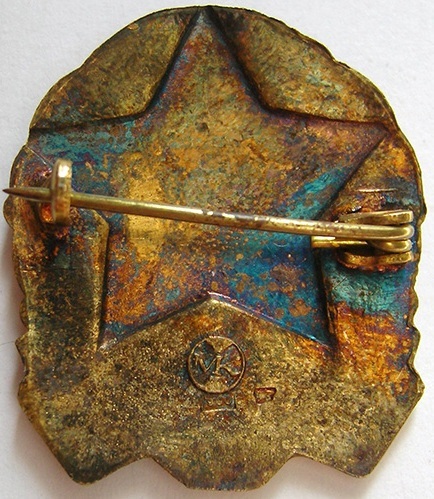 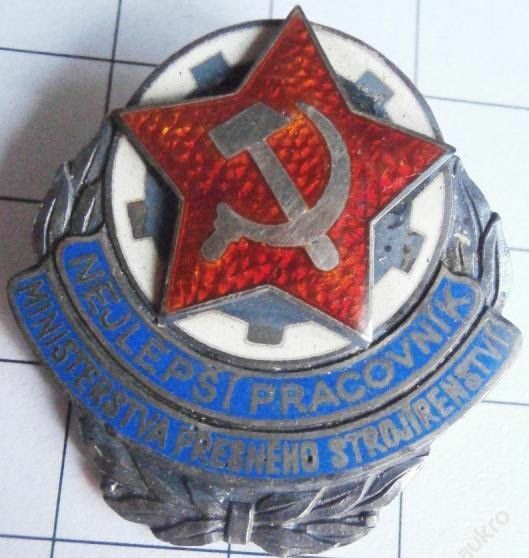 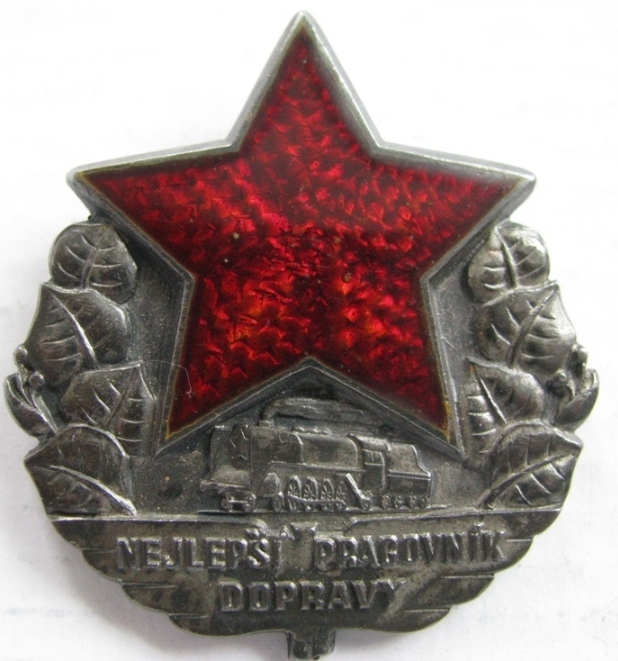 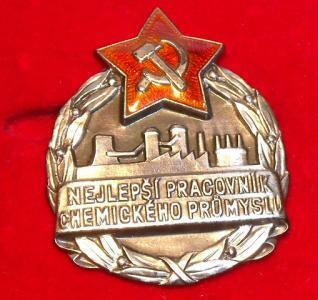 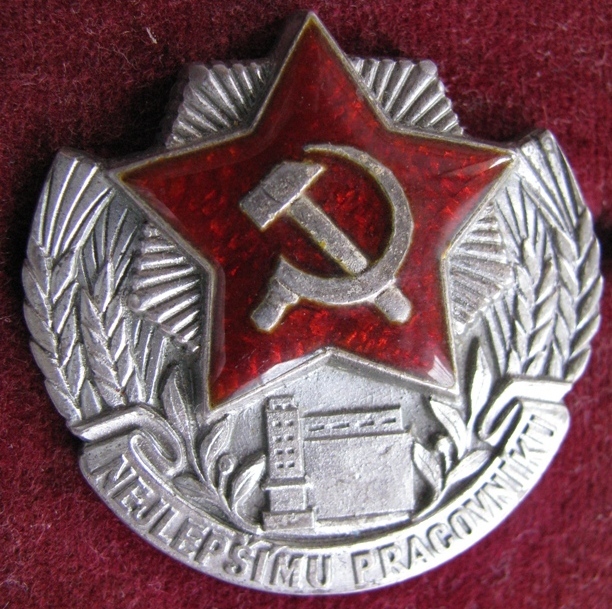 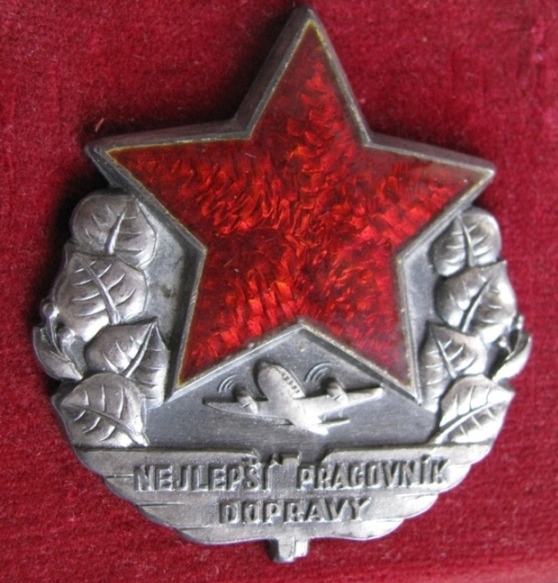 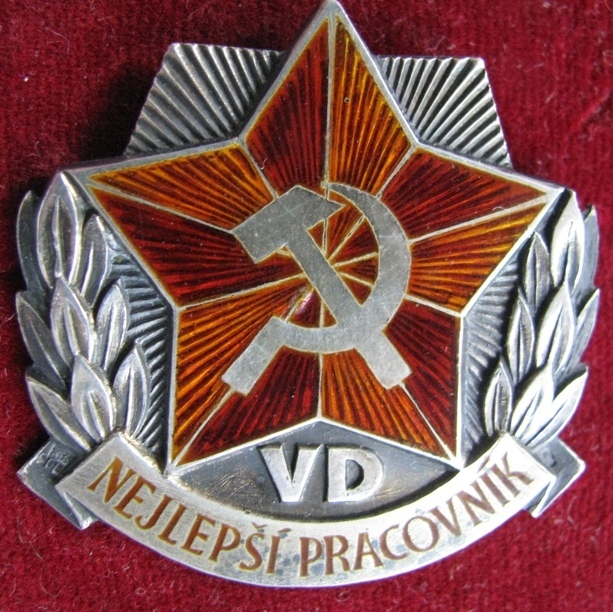 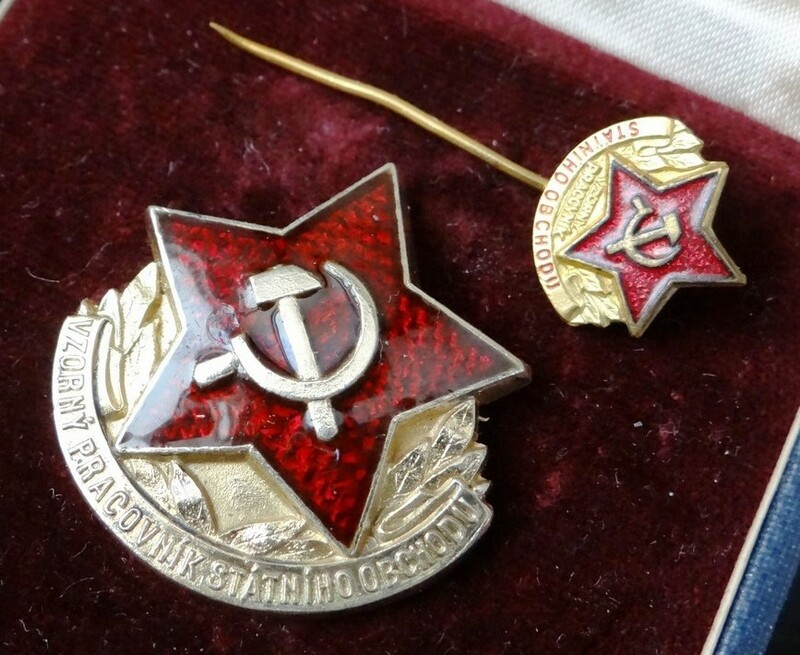 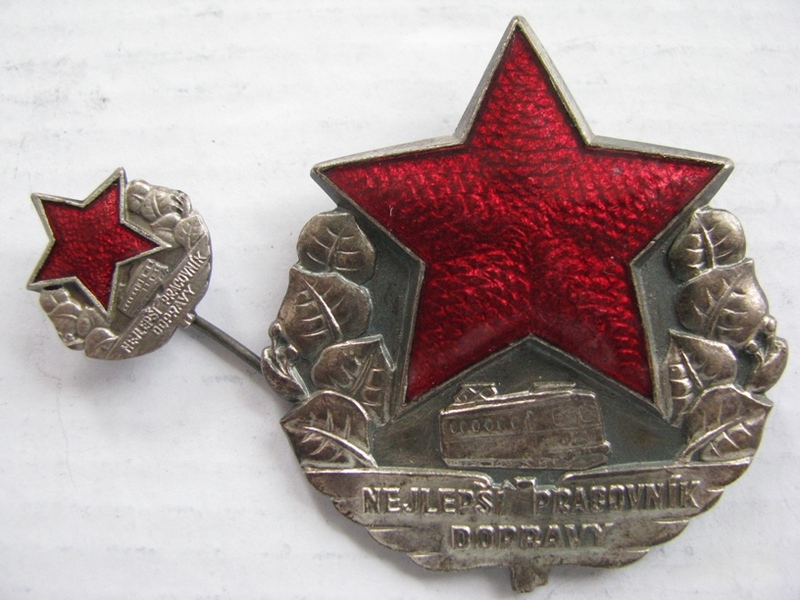 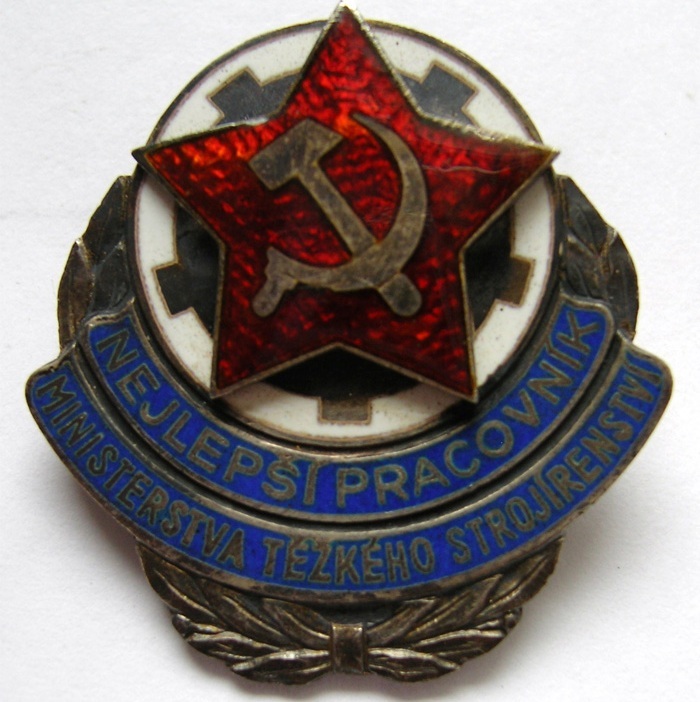 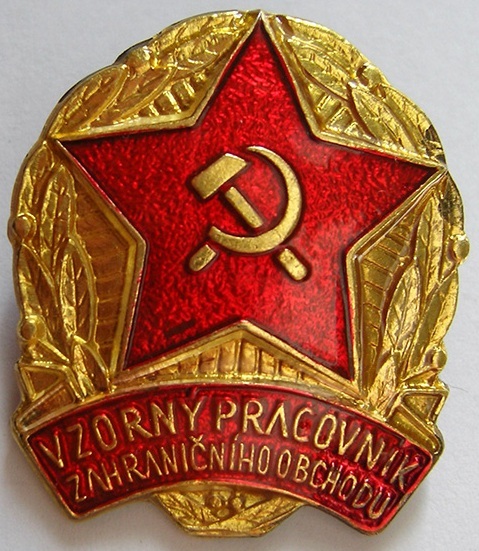 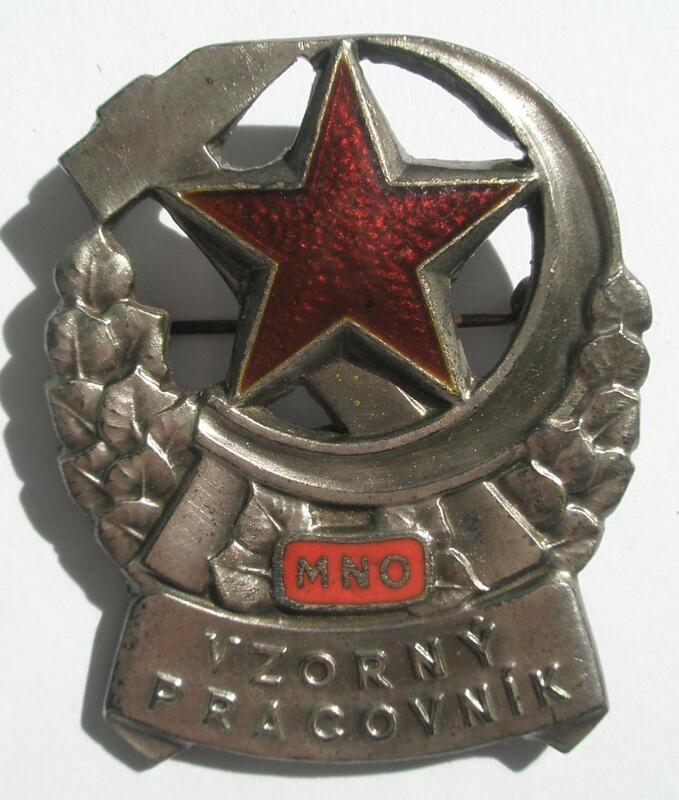 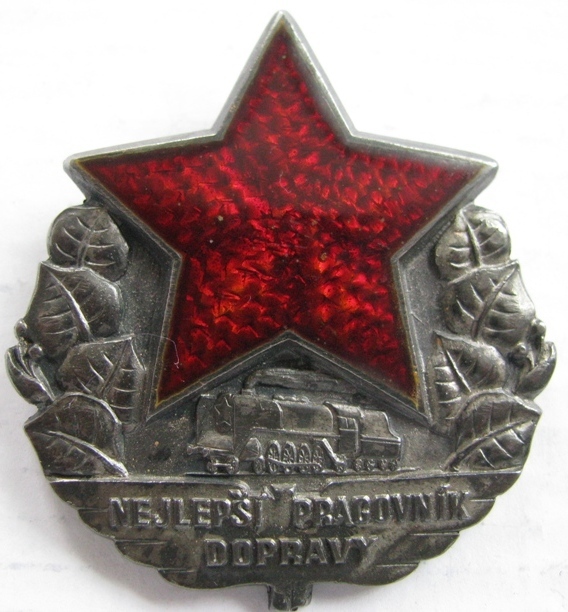 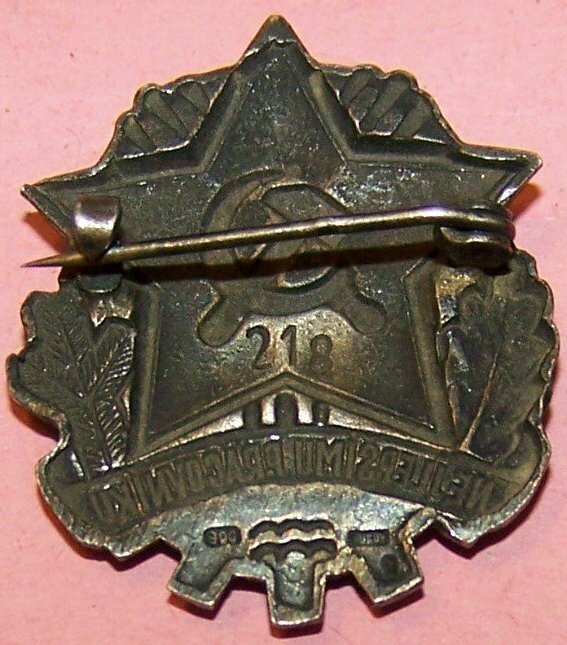 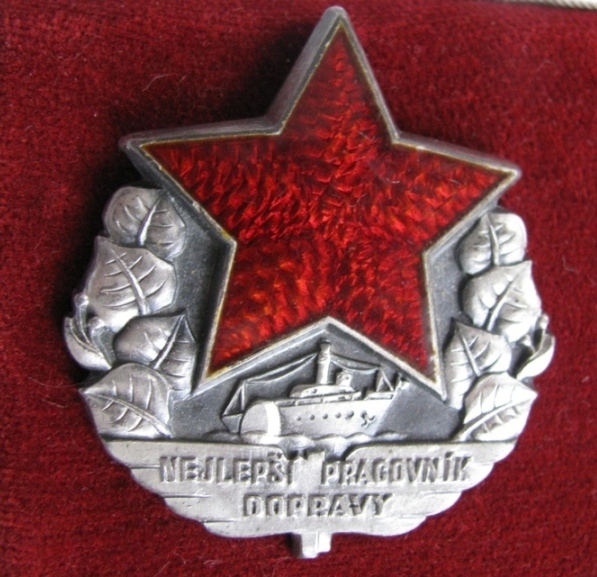 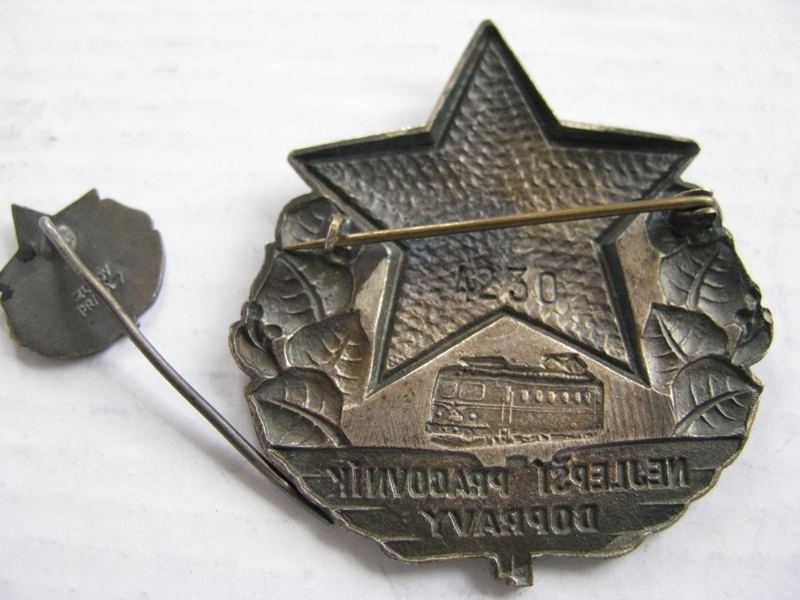 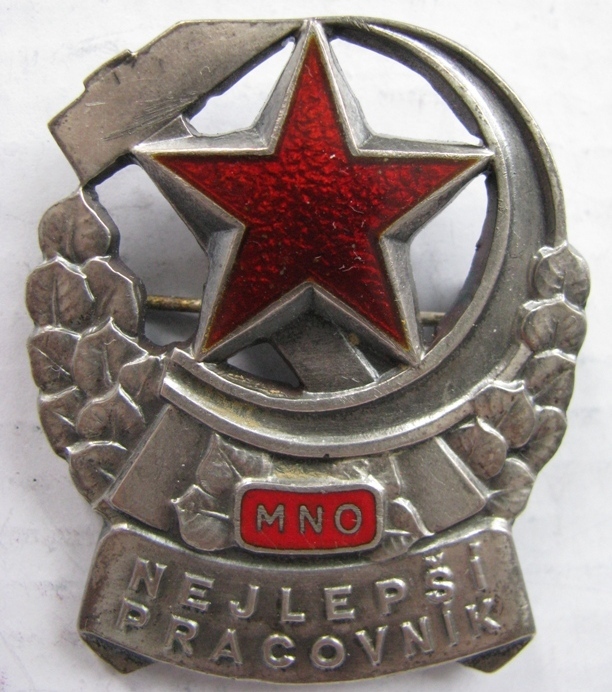 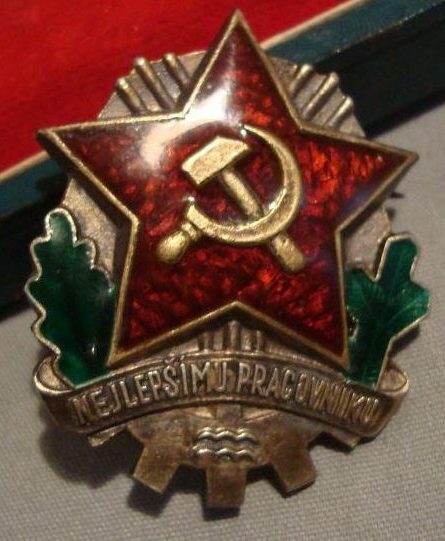 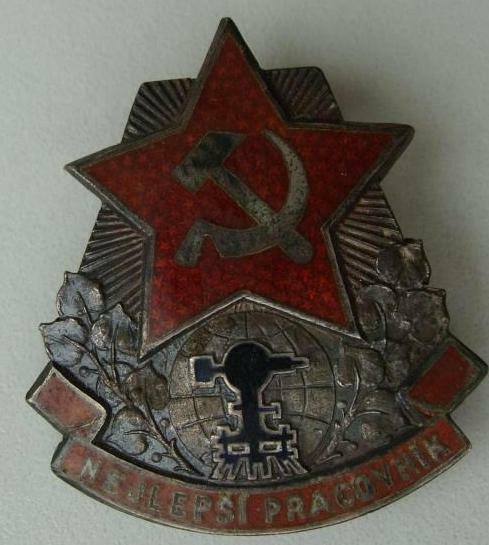 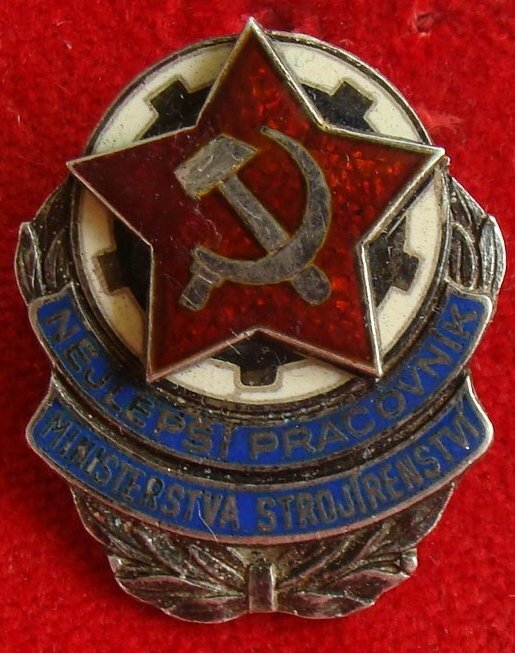 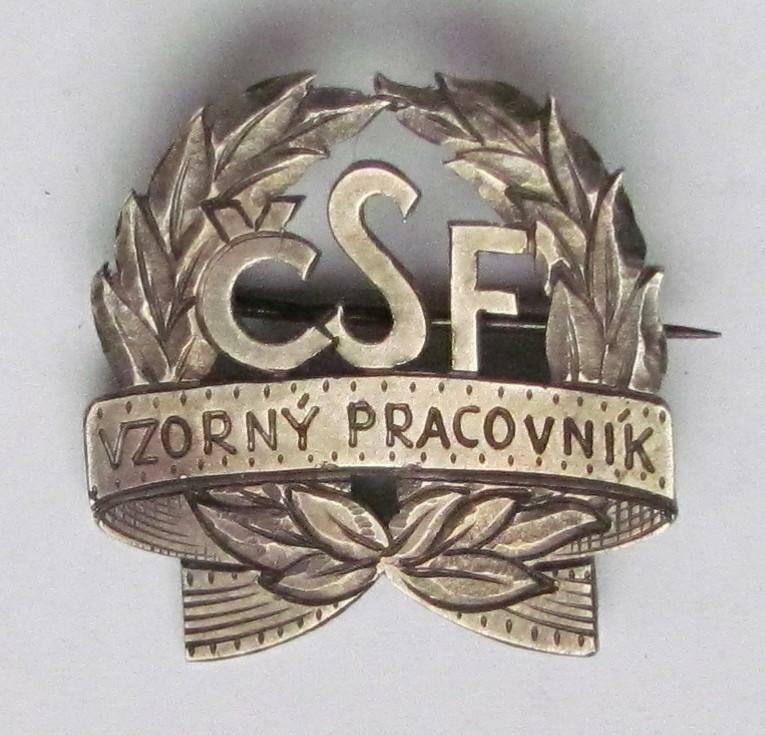 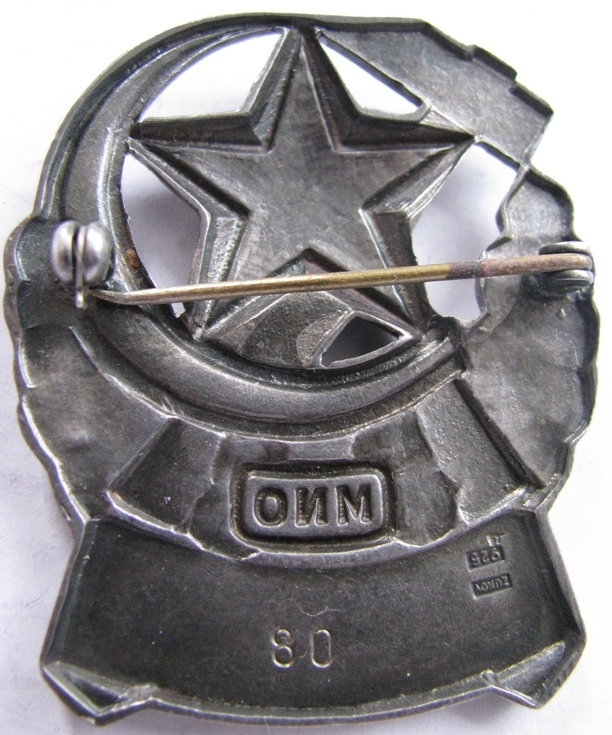 Mike,I am glad you like the topic.These bagdes came into being more than 60 years ago in early 50th.The example for them were the Soviet badges from the 30th years.Czechoslovak badges in siver were bestowed in the short time.In the 60th and the 70th the badges of the workers were not in silver,but in bronze or in white metal. 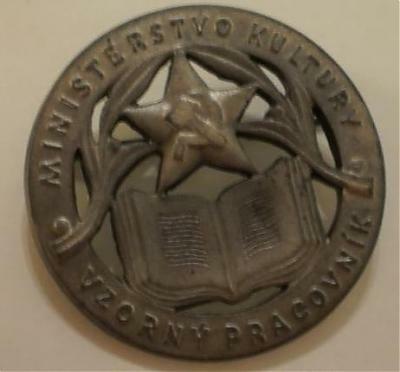 It is the same with painting,furniture or buildings-churches,cathedrals,minsters...Also awards declined in many countries over the years,too. 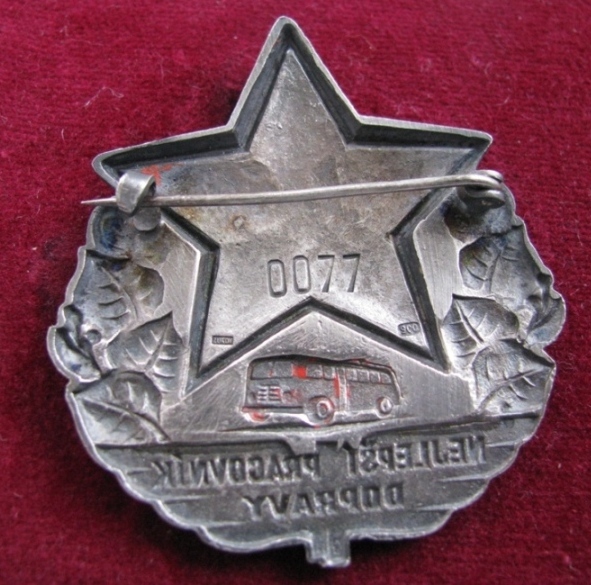 Compare the badges of the 50th and the 60th. 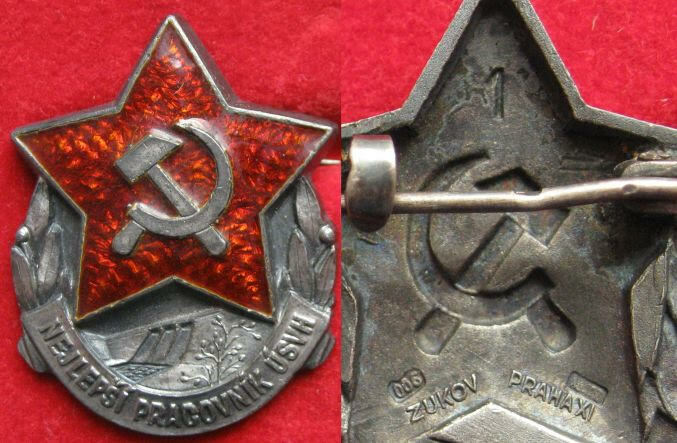 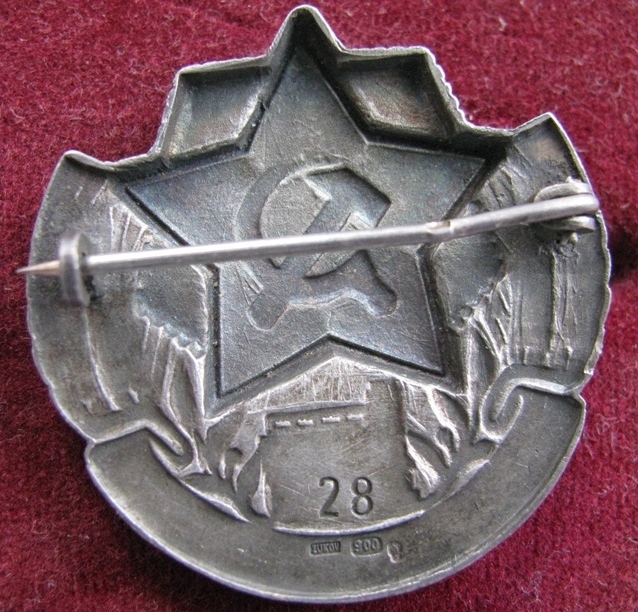 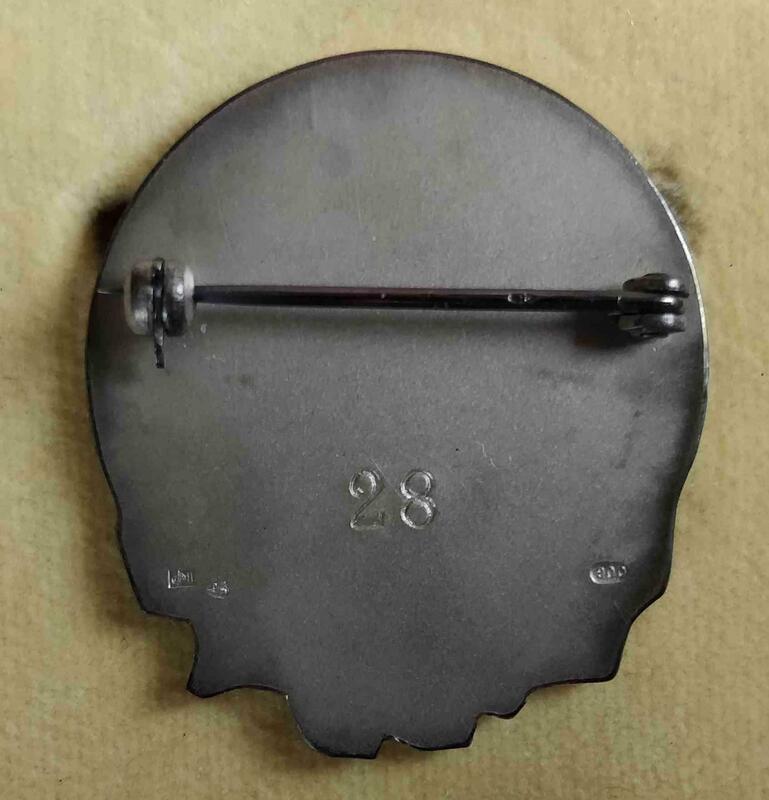 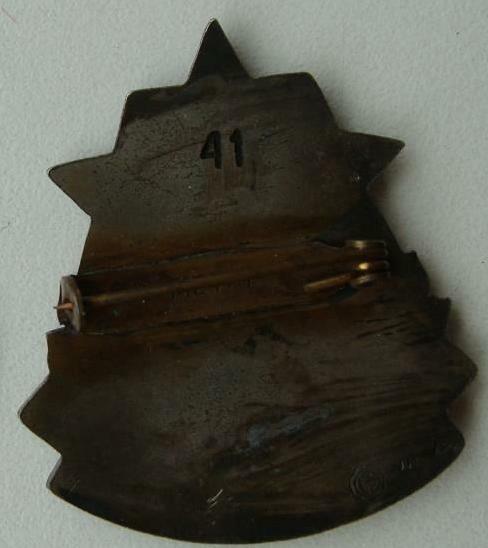 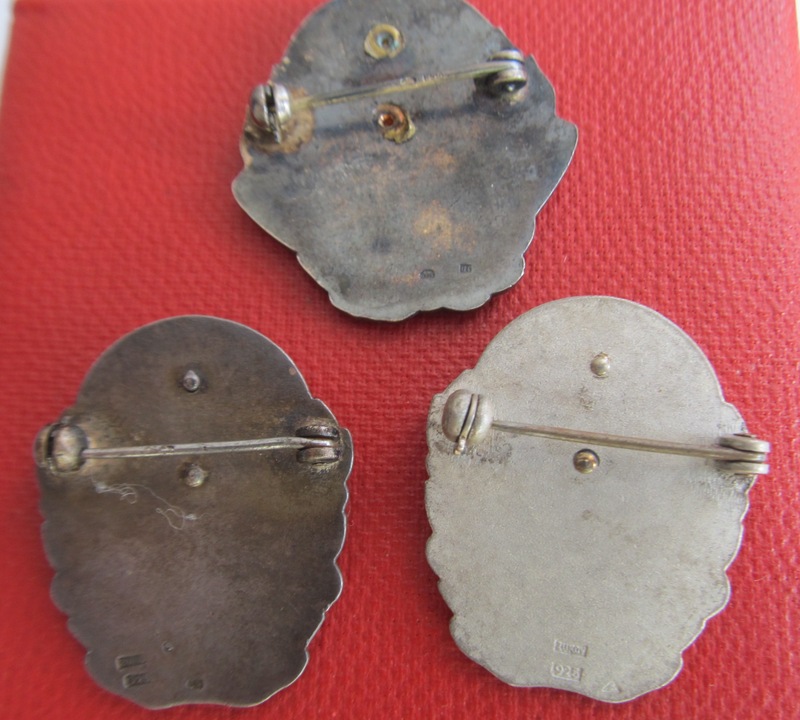 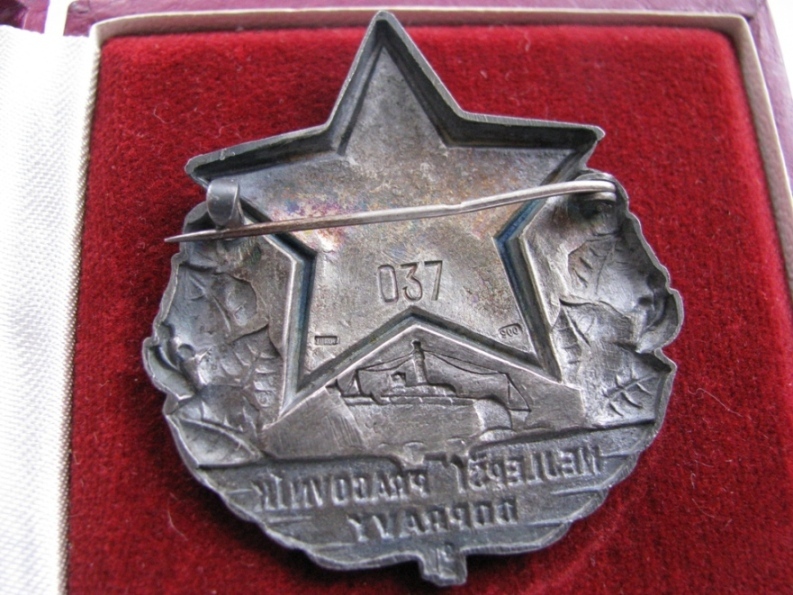 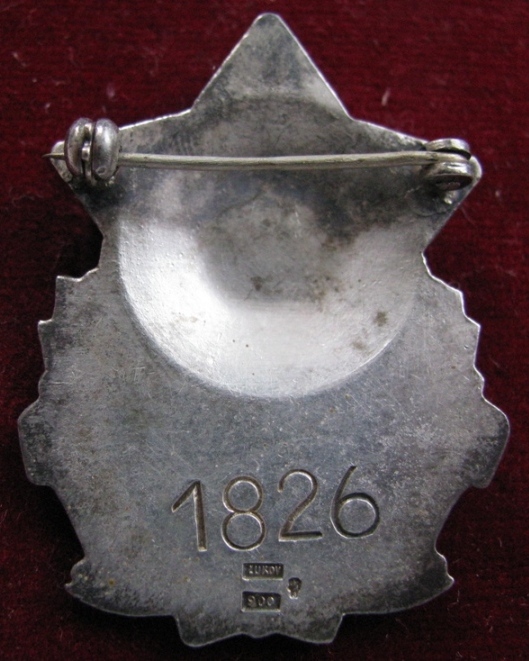 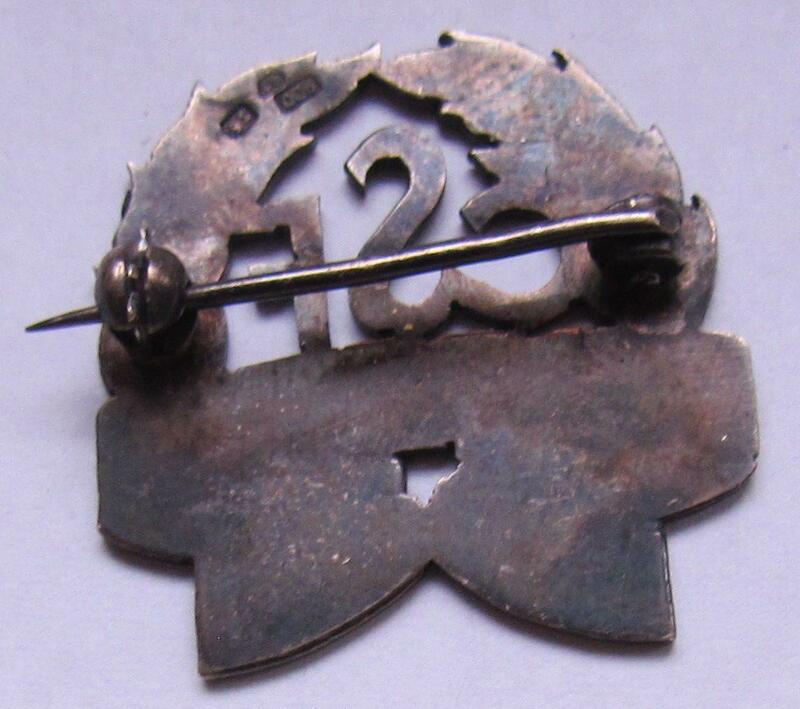 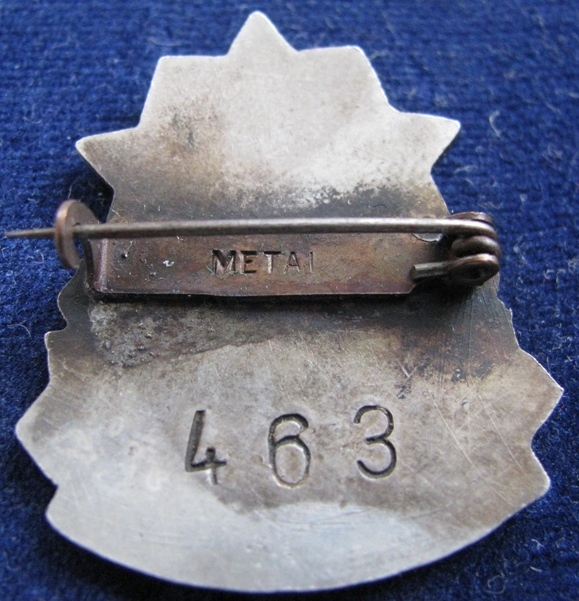 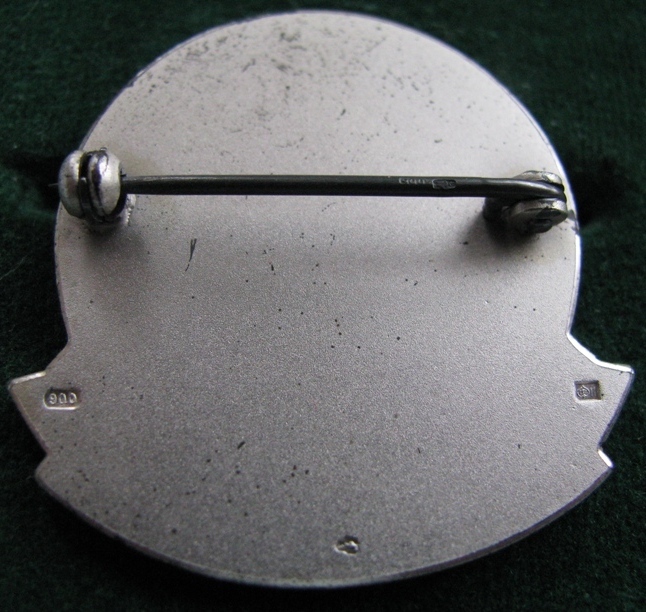 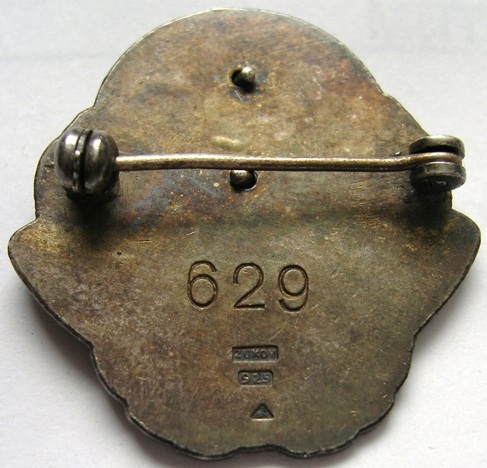 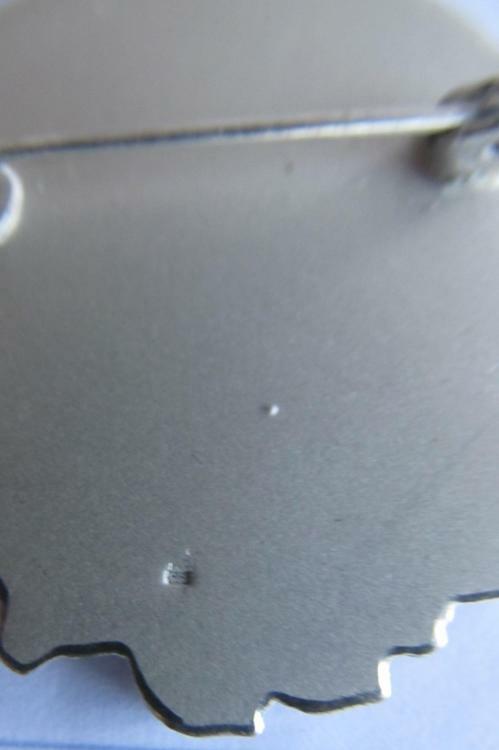 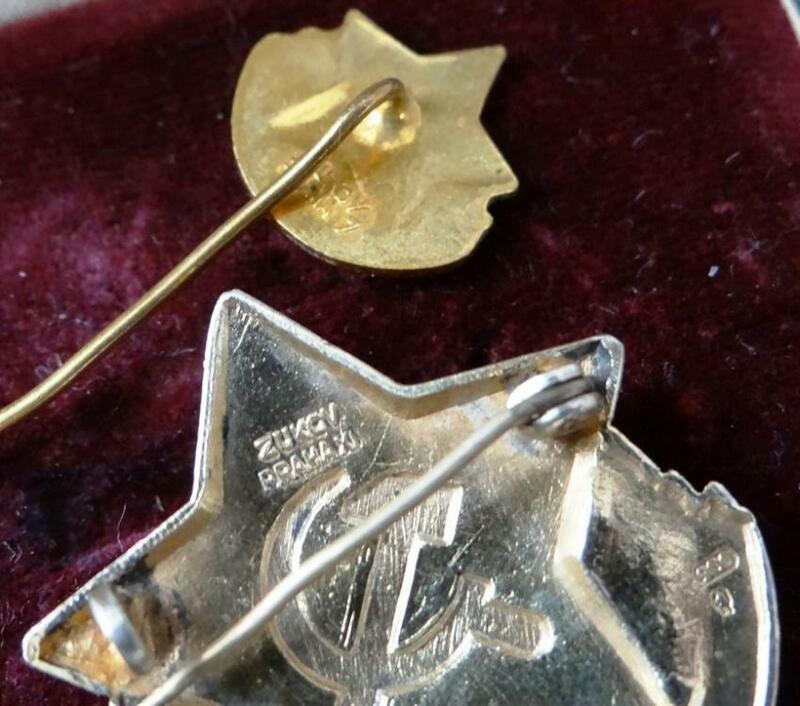 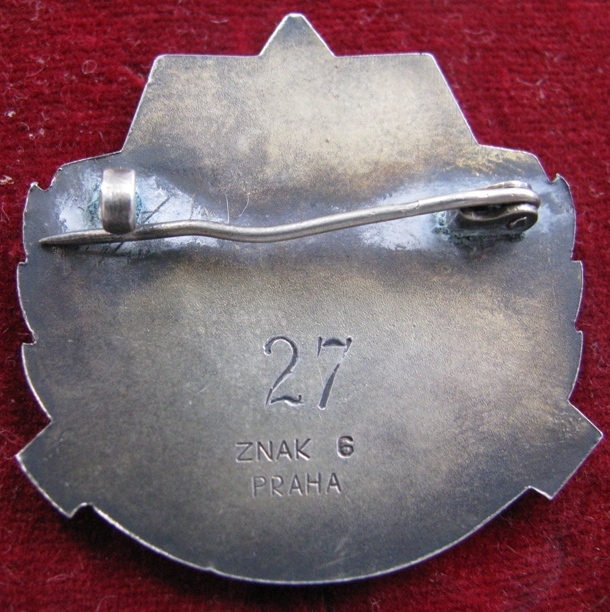 Left- silver badges wih the marks,right -from white metal.